The race for the Bass Pro Shops School of the Year presented by Abu Garcia is roaring on. Roughly two months are left in the 2018-12019 season, and week in, week out schools are competing in a variety of collegiate events nationwide in hopes of earning those valuable points. Following a busy several weeks of events, Bethel University has emerged as the leader in the School of the Year standings with McKendree University and Adrian College in 2nd and 3rd respectively. “It feels great to be in first place for the School of the Year race. 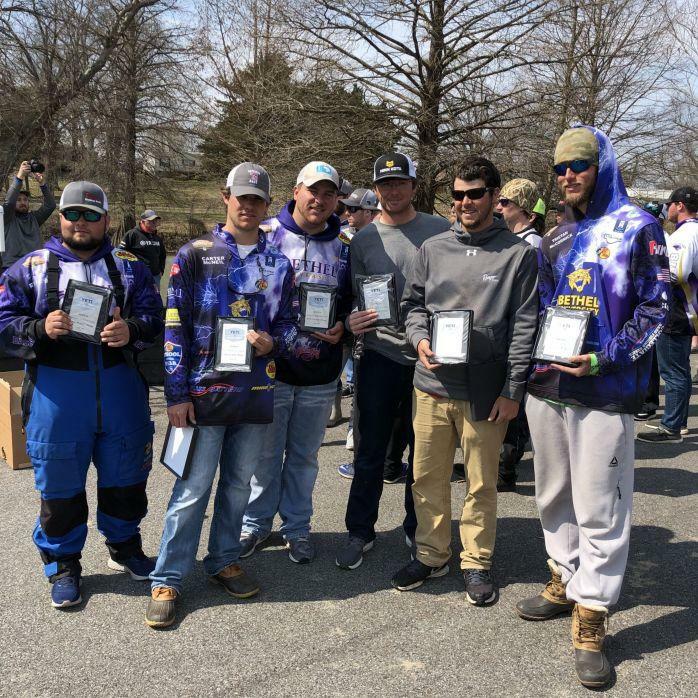 Moving into first place with all of the great schools and teams that compete in college fishing is such a huge accomplishment for our Bethel Wildcats Team,” said Garry Mason, Head Coach at Bethel University. After winning the School of the Year in 2018, Bethel University is sitting poised to make a run at back-to-back titles in 2019. Consistency is key in a race such as this. One poor finish can be enough to knock a team out of the top 10. On the other hand, a high finish in an event can catapult a team to the number one spot. Bethel University has managed to put together a pair of top finishes over the past month. The first of those came at Lake Guntersville for an FLW Regional. Dax Ewart & Kristopher Queen brought 28.5 pounds to the scales to finish in second place. Tristan McCormick & Dakota Pierce then logged another second-place finish just a few weeks later. 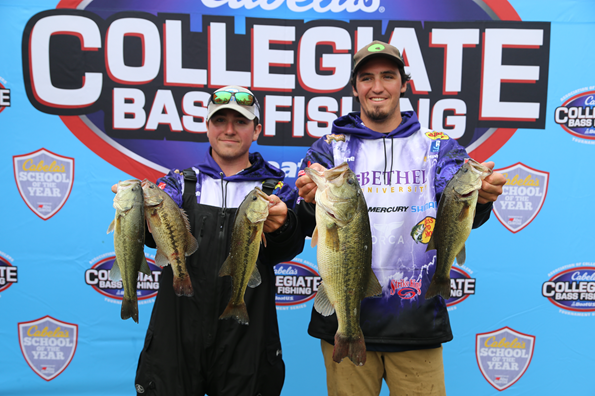 The pair brought in 44 pounds 4 ounces over two days on Kentucky Lake to earn 495 points for Bethel University. At the previous update Bethel sat in fourth place, trailing the leader at that time, McKendree University. The team’s strong showing over the last several weeks has pushed them into the top spot with only two months left. The current defending champs know what it will take to close out another School of the Year title. Catching quality fish each time out on the water will be paramount. “We feel that as a team, in order to win back to back school of the year titles, we must continue to place guys in the top five in every tournament left on our schedule. This has been a very tight race and we know that there are some heavy hitters chasing us for the trophy and the School of the Year title. We can’t slip if we want to win. There are just too many great anglers out there in the college ranks,” added Mason. The list of schools trailing Bethel in the top 10 includes several past winners of the prestigious School of the Year title, all of which are fully capable of putting together a late season run. From here on out, there will be a great deal of events providing opportunities to earn points. 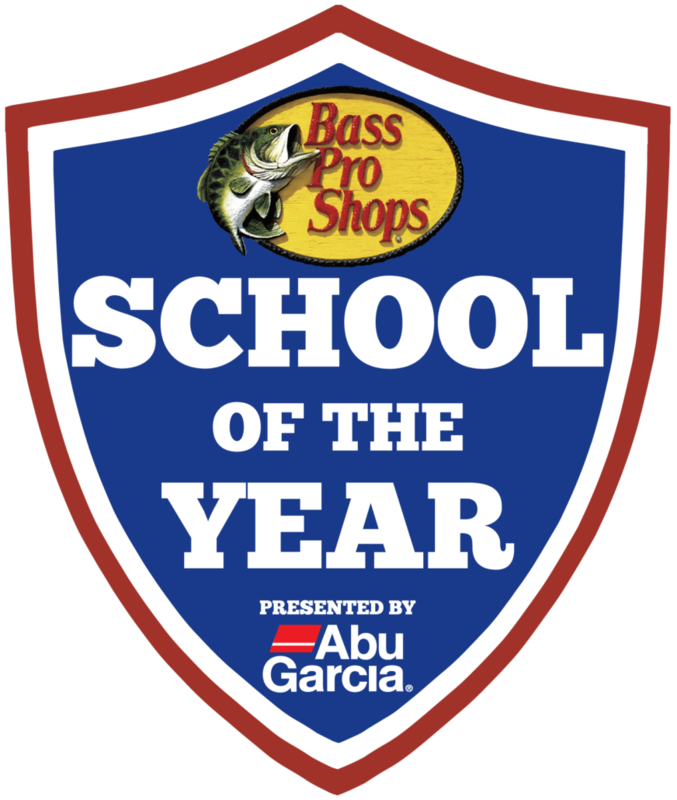 Be sure to keep up with the latest in regard to the Bass Pro Shops School of the Year presented by Abu Garcia. Click here for the full standings. 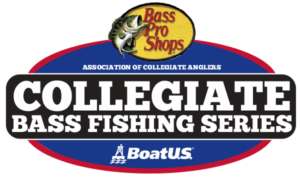 For more information about the Bass Pro Shops Collegiate Bass Fishing Series, please visit www.CollegiateBassChampionship.com. Listen to our #WeAreCollegiateBass Podcast! 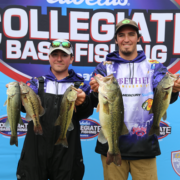 The Association of Collegiate Anglers (ACA), a division of CarecoTV, is a tournament organization created to facilitate growth, development, and structure within competitive collegiate bass fishing. The ACA created the original BoatUS Collegiate Bass Fishing Series,14 seasons ago, which is now the Bass Pro Shops Collegiate Bass Fishing Series, and the longest running collegiate bass fishing series in existence. The ACA provides support to dozens of school operating regional events nationwide, and owns the Bass Pro Shops Collegiate Bass Fishing Series, Bass Pro Shops School of Year Program, and associated assets. The ACA also provides the largest amount of televised coverage of any collegiate fishing series with dedicated programming on several television networks ranging from Discovery Channel, CBS Sports, NBC Sports, Pursuit Channel, World Fishing Network, as well as other regional and national networks. For more information on the ACA or the Bass Pro Shops Collegiate Bass Fishing Series, visit www.CollegiateBassChampionship.com. For more information on Bass Pro Shops, visit www.BassProShops.com. For more information on CarecoTV, visit www.CarecoTV.com.